The automotive piston is an engine component cylindrical in shape, which slides back and forth in the cylinder bore due to force produced by the expansion of gas during the combustion process. Piston system comprises piston, piston rings, and piston pin; this system transfers the generated force to crankshaft through connecting rod. Piston generates mechanical energy that propels the crankshaft movement, which in turn, drives the wheels of the vehicle. Gasoline engine piston usually has less piston rings than diesel engine pistons due to high compression ratio of the latter. Most of the pistons are made up of aluminum & steel alloys to withstand high temperatures. The demand for piston is increasing exponentially due to rise in the demand for vehicles and its production. Thus, the demand for piston is ultimately governed by automobile production. To improve the efficiency of engine, the lightweight piston is highly suitable. Hence, the need for continuous development of engine boosts the growth of the global market. 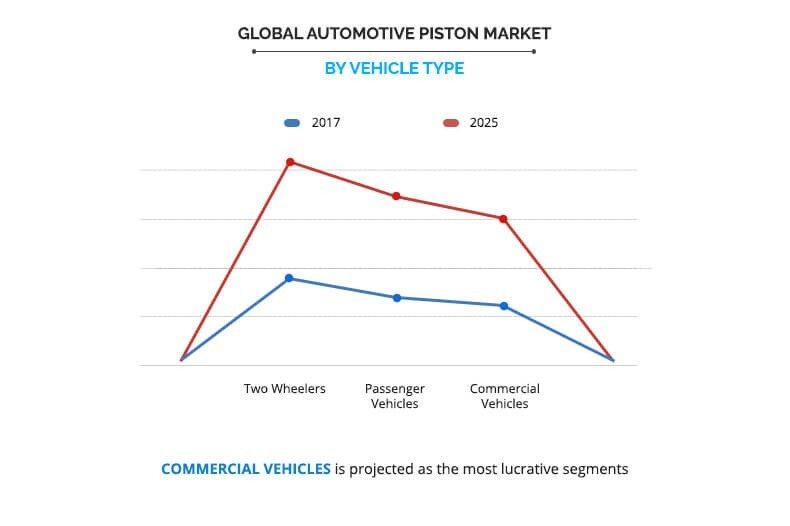 Furthermore, the automobile sales across different segments such as four wheelers and two wheelers among others are growing and are expected to drive the growth of the global automotive piston market. Moreover, premium segment bikes in two wheelers market are inclined toward double cylinder engines over conventional single cylinder engines. Therefore, increase in production of premium segment bikes is anticipated to contribute to the growth of the global automotive piston market. Also, increase in demand for light and heavy commercial vehicles and passenger cars is expected to fuel the growth of the global market. The continuous R&D in the automotive sector to improve the fuel efficiency of engines may push the growth of the global automotive piston market. However, increase in penetrations of electric vehicle to overcome harmful carbon emissions that result in pollution are anticipated to restrain the growth of the global market since electric vehicles do not possess conventional internal combustion engine. In addition, non-stop R&D is being carried on engines by researchers for improving the performance of engines. This results in downsizing of engines by reducing their weight and size. Therefore, the number of cylinders is reduced without compromising the output (power) of engines. Thus, technologies such as turbocharger and supercharger are being used to downsize the engines without affecting the output (power) of engines. Utilization of such technologies is anticipated to restrain the growth of the global market. Rapid industrialization resulting in growth of the global automotive sector is expected to provide lucrative opportunities for the growth of the global market. High wear and tear of engine components due to rise in the operating life of vehicles is expected to provide growth opportunities for the global automotive piston market. 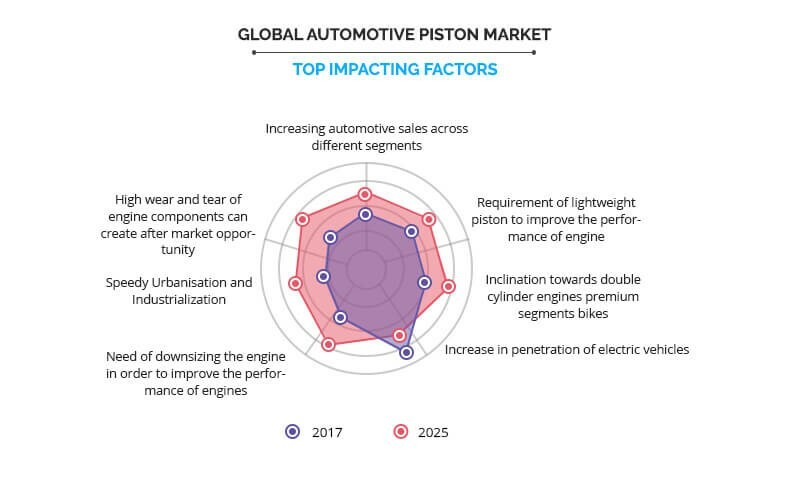 The key players of global automotive piston market include Mahle Gmbh, Aisin-Seiki Co. Ltd., KSPG AG, Hitachi Automotive Systems, Federal-Mogul, Indian Piston Limited, Shriram Piston and Rings, Arias Piston, Capricorn Automotive, and Ross Racing Piston. The market is segmented into material, type, coating, vehicle type, and region. On the basis of material, the market is categorized into aluminum and steel. By type, it is segmented into trunk piston, crosshead piston, slipper piston, and deflector piston. On the basis of coating, the market is divided into thermal barrier coating piston, dry film lubricating coating piston, and oil shedding coating piston. By vehicle type, it is classified into two-wheeler, passenger vehicles, and commercial vehicle. On the basis of region, the market is analyzed across North America, Europe, Asia-Pacific, and LAMEA. The factors that drive the global automotive piston market include increase in sales & production of vehicles, requirement of lightweight piston to improve performance, and inclination toward double cylinder engine for premium segment bike. However, technical advancements to downsize automotive engines and increase in penetration of electric vehicle hinder the growth of the global market. Irrespective of these challenges, expansion in untapped market of developing regions such as Asia-Pacific, Latin America, and Africa is expected to provide lucrative opportunities for the market growth. In addition, rise in demand for lightweight piston developed from composites of carbon, silicon, and magnesium is expected to unfold various opportunities for new products in the market, thereby boosting the market growth. Global automotive environment is changing at a rapid pace due to globalization. The increase in automotive sales has been caused due to the improvement in manufacturing facilities in most of the emerging countries such as China, India, and Brazil among others. Global automotive sector promises better productivity and sales as this sector consists of different segments such as two wheelers and four wheelers among others, which in turn are expected to drive the growth of the global market. This factor majorly influences prominent players of the automotive sector to invest and expand the business through different segments to gain better profitability. Also, increase in disposable income of consumers due to rise in prosperity governs the demand for automobiles across different segments, which lead to rise in sales of automotive. Although, two wheelers segment has largest sale across all segments due to the greater appetite from the youth and rural market. The major challenge in the automotive sector is to improve the performance of engine. This objective can be achieved by downscaling the engine through reducing the overall weight of engine. Thus, for this purpose, it is required to decrease the weight of each component used in automobile engine. Piston is the integral component of engine and attains reciprocating motion. Using lightweight piston ensures efficient reciprocating motion. Other integral components of engines such as crankshaft and connecting rod also attain motion (rotary). Thus, to ensure the proper balancing of all individual components and smooth functioning of moving parts, the weight of the engine components needs to be reduced. This results in improved fuel efficiency thereby increasing the overall performance of engine. Due to this factor, the demand for lightweight piston is increasing and is expected to fuel the growth of the global automotive piston market. The electric vehicles overcome the disadvantages of conventional vehicles, that is, harmful emissions. The electric vehicles industry has witnessed considerable growth over the past few years due to its desired efficiency and output. Moreover, the increase in demand for electric vehicles in several developed nations is expected to drive the global market. As electric vehicles use most efficient batteries for power generation, the use of conventional engine is restricted for generating power. Thus, increase in the use of electric vehicles is anticipated to inhibit the growth of the global automotive piston market. Engine downsizing is the utilization of smaller engine in a vehicle that provides required power with the help of additional boosting device such as turbocharger. It reduces carbon emissions to large extent as compared to conventional internal combustion engine. It reduces the number of cylinders used in the engine as the desired level of power is achieved by additional boosting device. Thus, the requirement of piston diminishes without compromising with output of engine. Due to this factor, engine downsizing is anticipated to restrain the growth of the global automotive piston market. Due to the rapid enhancement of technology, most of the manufacturing companies are adopting automation to increase productivity and profitability. This is resulting in speedy industrialization and urbanization. This corporate environment provides suitable manufacturing facilities especially in emerging countries such as South Africa, Brazil, and India among others. The developing nations of Asia-Pacific and Africa offer numerous growth opportunities. Therefore, there is a rise in the demand for passenger vehicles in this region and is anticipated to increase during the forecast period. This has facilitated many automotive vehicle manufacturers to set up manufacturing plants in Africa and Asia to cater to the local demand and leverage low manufacturing costs for exporting vehicles and parts. For instance, in September 2017, Chinese car-maker BAIC opened an automotive assembly plant in South Africa that is expected to build 50,000 vehicles a year by 2022. In addition, in January 2017, Volkswagen South Africa began production at its Kenyan facility in Thika. Also, improving economy of several countries worldwide due to industrialization results in increase in disposable income of consumer. This influences the sales of luxurious passenger cars which may provide the opportunity to world automotive piston market. This study presents an analytical depiction of the global automotive piston market along with the current trends and future estimations to depict the imminent investment pockets. The report includes the market share and trends of the key players in the automotive piston market. 3.5.1.3. Inclination towards double cylinder engines premium segments bikes. 3.5.2.1. Increase in penetration of electric vehicles. The global automotive piston market holds high potential for the automotive industry. The current business scenario witnessed growth due to rise in demand for automotive sales across the globe. 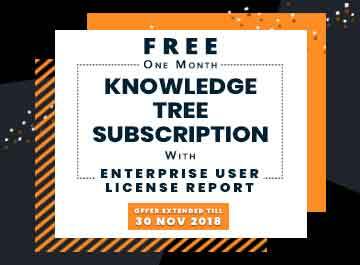 The key players operating in the industry have adopted various techniques to provide advanced and innovative product offerings to customers. Increase in demand for lightweight pistons and advancement of technology toward double cylinder engine for premium bike segment and increase in sales of automotive vehicles drive the growth of the global automotive piston market. However, increase in penetration of electric vehicle and need of downsizing the engine are expected to restrain the market growth. Furthermore, the speedy urbanization and industrialization and high wear and tear of engine components are anticipated to provide lucrative opportunities for the growth of the global automotive piston market in the near future. The key players operating in the global automotive piston market include Mahle Gmbh, Aisin-Seiki Co. Ltd., KSPG AG, Hitachi Automotive Systems, Federal-Mogul, Indian Piston Limited, Shriram Piston and Rings, Arias Piston, Capricorn Automotive, and Ross Racing Piston.